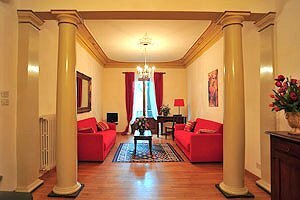 Elegant luxury apartment in the heart of Florence, just a stone`s throw from Piazza Santa Croce and close to Piazza della Signoria, the Museum of Bargello, the Uffizi Gallery and Piazza del Duomo. 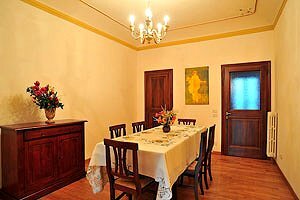 Sleeps 4+1, Internet connection, air conditioning. 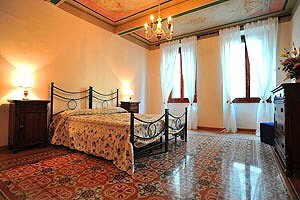 The apartment is situated in the picturesque district of Santa Croce, close to the Museum of Bargello, Piazza del Duomo and Piazza della Signoria. 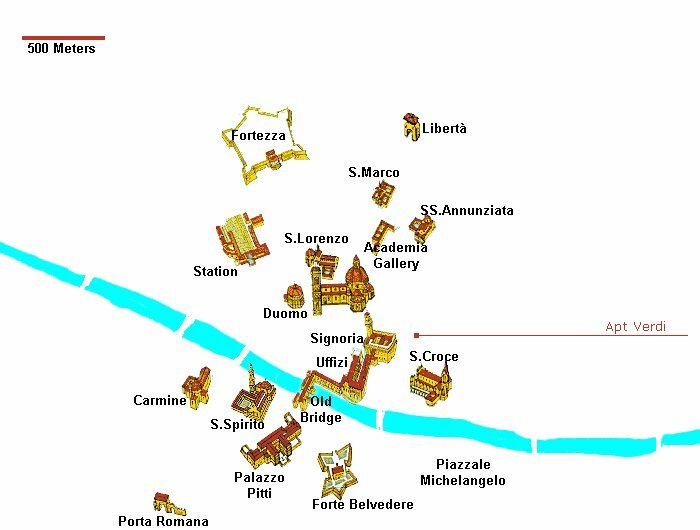 Considered the political centre of Florence, Piazza della Signoria hosts Palazzo Vecchio (Florence town hall), the Loggia dei Lanzi and the famous David by Michelangelo. 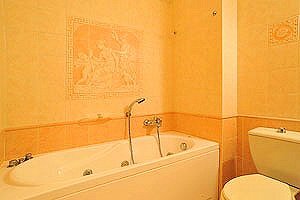 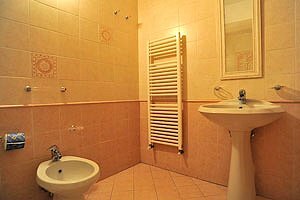 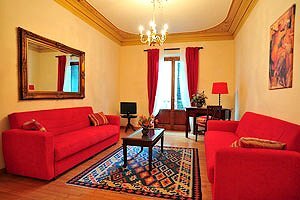 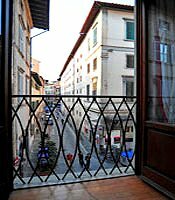 The apartment (sleeping 4+1) is on the second floor of an ancient Florentine building with elevator situated in the heart of Florence historic centre. 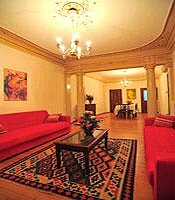 The apartment is elegantly furnished and equipped with air conditioning. 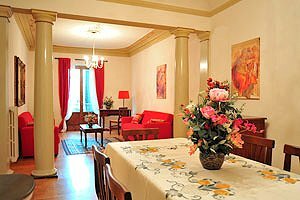 The living area composes of a living room, a dining area and the kitchen. 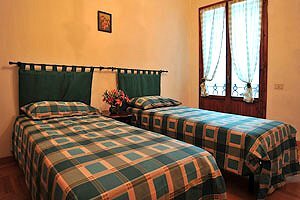 The sleeping area consists in two bedrooms and two bathrooms. 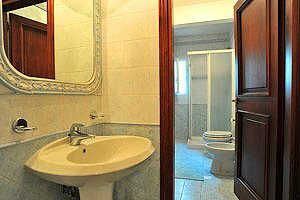 The apartment comes with satellite TV, Wi-Fi Internet connection, dishwasher, washing machine, ironing set, toaster, microwave oven, coffee maker, whirlpool bathtub and air conditioning in the living area. 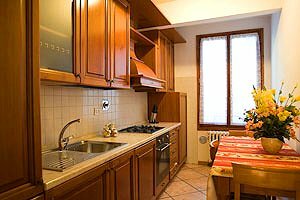 Restaurants, cafés, chemists`, post offices, banks and shops of any kind are within easy walking distance.